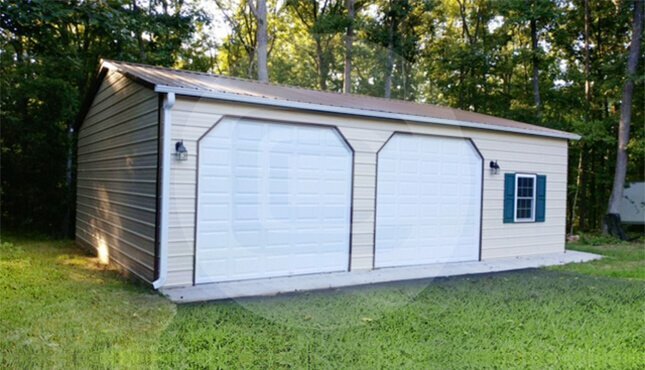 A 28×36’ two car metal garage is one of the best way to secure your cars and other vehicles. 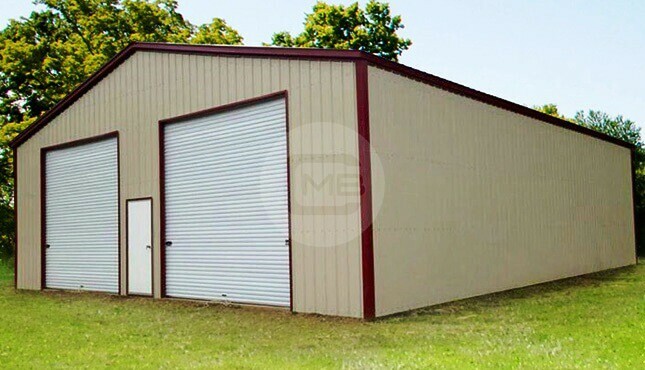 This building has 1008 square feet of garage storage space and it is 28′ wide by 36′ long by 10′ tall. 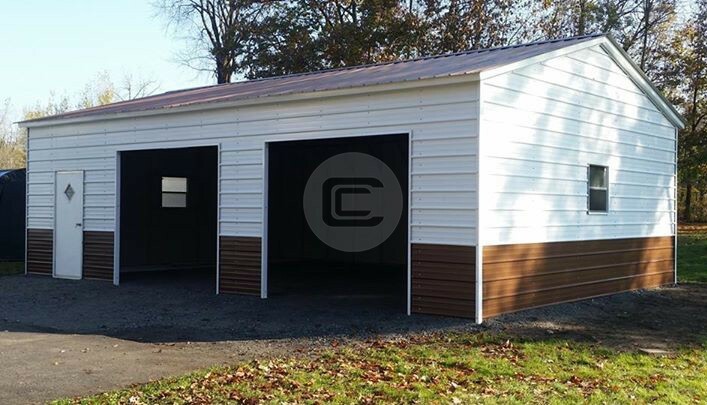 This structure is custom designed with two 10′ x 9′ garage doors to protect your vehicle from snowfall, bad weather, high wind speed, rain and wild animals. 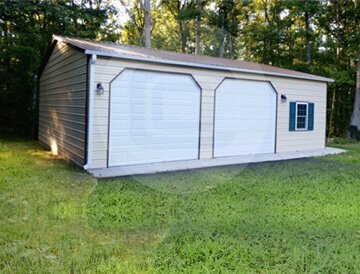 The enclosed garage includes (1) 36″ x 80″ walk in door, (2) 10×9 Framed out openings with dutch corners and (2) window frame outs. Side Entry Car Parking Garage is certified for 140 mph wind speed and 35 psf snow load to fight bad weather. 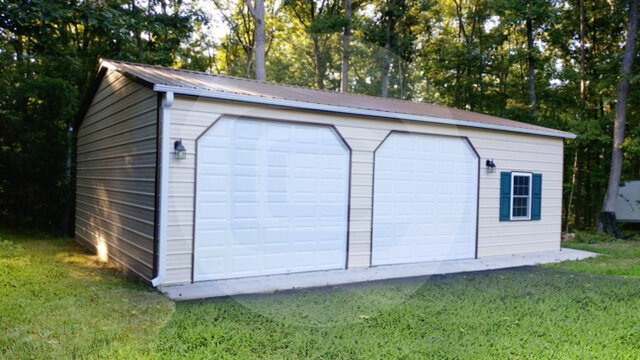 ***Disclaimer – Customer added their own aftermarket garage doors and windows. They also had gutters and lights added (which we do not provide).